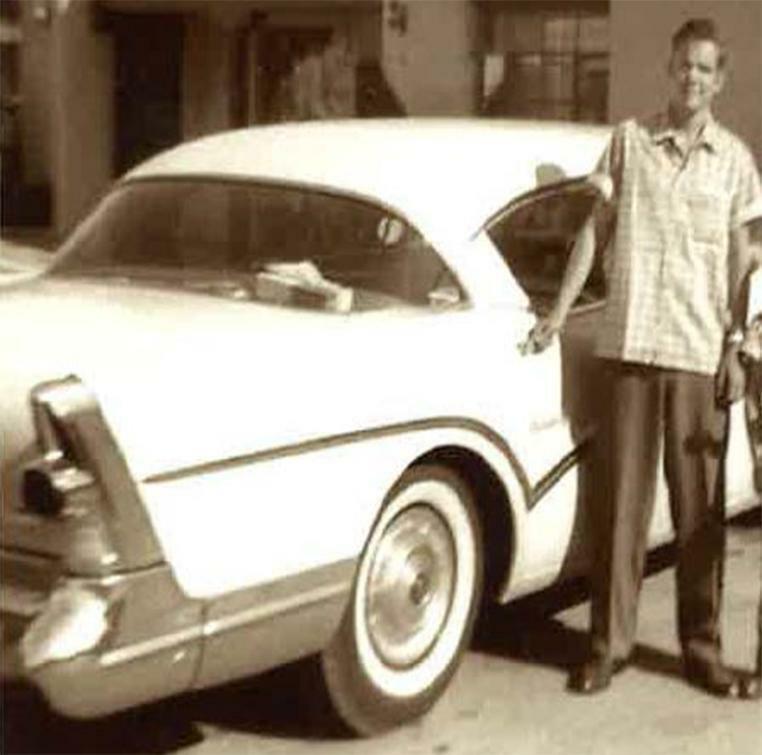 Terry Peder Rasmussen in a photo estimated to be from the late 1950s or early 1960s. A timeline of confirmed events released by the New Hampshire Attorney General’s office. Enlisted in the US Navy. Discharged from the US Navy. Moved to Hawaii. Rasmussen worked in his parents’ shoe shop. Moved to Phoenix, Ariz. Twin daughters born. Worked as an electrician for boss “Otto” (company unknown). Rasmussen family moved to Redwood City, Calif. He worked as an electrician in Palo Alto, Calif. Rasmussen’s son is born. Rasmussen’s daughter is born. Rasmussen and his wife separate temporarily. Rasmussen and family move back to Phoenix. Rasmussen again works for “Otto.” He also works in a shoe shop. Rasmussen’s wife and children leave him. Rasmussen arrives unexpectedly to visit his wife and children in Payson, Ariz. He is in the company of an unidentified female. Rasmussen indicates he was living at the Casa Del Rey Apartments in Ingleside, Texas. This is the last time Rasmussen’s family ever sees him. Rasmussen contacts friend in Arizona and asks for money. He states he is in Texas working on an oil rig. Divorce finalized. Rasmussen’s whereabouts unknown. Rasmussen worked at Waumbec Mills as head electrician, Bob Evans. Rasmussen arrested in Manchester, N.H., as Robert T. Evans for issuing a bad check on 12/21/1979 (insufficient funds). Rasmussen arrested in Manchester, N.H., as Robert T. Evans for theft of services (electricity). Rasmussen arrested in Manchester, N.H., as Robert T. Evans for diverting electric current. Denise Beaudin goes missing shortly after Thanksgiving with her 6-month-old daughter and her boyfriend, Bob Evans from Manchester, N.H.
Rasmussen was hired under name Curtis Kimball by electrical company in Los Alamitos, Calif.
Rasmussen arrested in Cypress, Calif., as Curtis Mayo Kimball for DUI. First barrel found adjacent to Bear Brook State Park, Allenstown, N.H., containing an unidentified adult female (23-33 years of age) and female child (5-11 years of age). Rasmussen in Santa Cruz County, California living & working at the Holiday Host RV Park in Scotts Valley under name Gordon Jenson. Rasmussen abandoned a child (Denise Beaudin’s daughter) in California and fled. Fingerprints match between Gordon Jenson and Curtis Kimball confirming they were the same person. Rasmussen pulled over in San Luis Obispo, Calif., driving a stolen vehicle from Preston, Idaho. Rasmussen arrested in California on warrants for child abandonment and sentenced to 3 years. Rasmussen was paroled and absconded the following day in California. Rasmussen pulled over in California under the name Lawrence William Vanner and cited for not having insurance or a driver’s license. Second barrel found adjacent to Bear Brook State Park in Allenstown, N.H., containing two unidentified female children (2-4 years of age) and (1-3 years of age). Rasmussen’s girlfriend, Eunsoon Jun, disappears from Richmond, Calif.
Rasmussen arrested for Eunsoon Jun’s homicide and parole violation. Rasmussen convicted of Eunsoon Jun’s murder and sentenced to 15 years to life. DNA testing confirmed that Rasmussen was not the biological father to the child he abandoned (Denise Beaudin’s daughter). The California San Bernardino County Sheriff’s Office contacted New Hampshire authorities in reference to Rasmussen and his connection to New Hampshire. DNA confirmed that Rasmussen was the biological father of the unidentified 2-4 year old little girl found dead in Allenstown, N.H., in 2000. Authorities release details on Robert “Bob” Evans and his connection to the Allenstown homicides and disappearance of Denise Beaudin. Authorities complete DNA testing confirming the man known as Robert “Bob” Evans is actually Terry Peder Rasmussen.